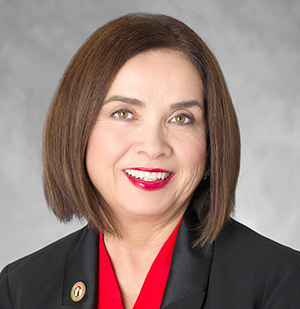 The October meeting of the Del Cerro Action Council (DCAC) met on Monday, Oct. 22, to accommodate the very busy schedule of Dr. Adela de la Torre, the new president of San Diego State University and our special guest for our meeting. “I have only been on the job for 100 days and so far, I am being a listener to everyone from SDSU staff to community leaders. I want to make sure SDSU is a good neighbor,” de la Torre said, before taking questions on a variety of issues. http://www.santacruzpumas.org/research/ click here How do you see the project at Qualcomm? order now A homeowner who lives on Adobe Falls Road at Mill Peak asked if SDSU could raise the height of the fence. The current height is not a good deterrent to keep individuals from climbing over the fence and down into the Adobe Falls area. President de la Torre stated that should not be a major project and she was confident it could be done. cheap viagra 100mg worldwide shipping drugstore What is the future of developing Adobe Falls for homes? click here What about the Adobe Falls area following the fire? Dr. Frost responded to the Adobe Falls problem. Frost reiterated that there is a lot that can be done from SDSU in a positive manner. He also mentioned the problem with the runoff from rains that will impact the property downstream. https://stetsonpainting.com/whychooseus/ click here Dr. de la Torre commented on how the state college and the UC systems work. “Over 50 percent of students live around here are ‘community students.’ Next year, we will have 7,200 on-campus beds. Beginning next year, freshmen will not be able to have a car on campus. How can we increase cooperation between SDSU and the local schools with an emphasis on STEMM (science, technology, engineering, math and music)? How can Del Cerro support you and SDSU? Liz Saidkhanian, the director of outreach for Councilmember Scott Sherman, reported on calls to Councilmember Sherman’s office regarding renewed homeless in Chaparral Canyon. The police responded and removed the homeless from the canyon. She also stated the city had received a grant to assist with the removal of brush in Chaparral Canyon. Saidkhanian was asked if the canyon property could become the property of the city’s Park and Recreation Department. The answer was the property below Lake Murray Dam, which makes up Chaparral Canyon, belongs to the Water Department ratepayers. In addition, there are security issues because of the property’s proximity to Lake Murray Dam. Kristen Byrne with the Atlantic Group, gave a brief update on the All People’s Church that is to be built below the Chevron Service Station. The church has submitted plans for a preliminary review to the city. She stated that Ken Smith will be the architect and Hammond Construction will build the church. It was reported that a second request has been submitted to the city to replace the “No U Turn” sign for eastbound traffic on Del Cerro Boulevard. The property management firm for the Windmill Shopping Center has been contacted regarding painting pedestrian walkways on the entry roads to the shopping center from Del Cerro Boulevard and Madra Avenue. Next DCAC meeting will be on Thursday, Jan. 24, at 7 p.m. at Temple Emanu-El.